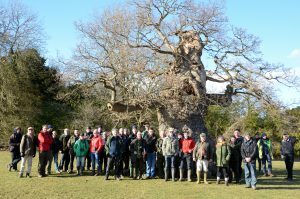 Blenheim Palace was the venue for the Ancient Tree Forum’s 2018 spring field visit, as Jim Mullholland, Training and Technical Officer reports. After a brief welcome, the day began in earnest, with attendees shepherded into the back of the shoot lorry for transportation to High Park. Upon dismounting from the lorry we gathered beneath a veteran beech tree adjacent to a track. 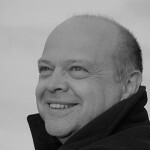 Paul Orsi, our guide for the day, introduced himself, detailing his responsibilities whilst employed by the estate. 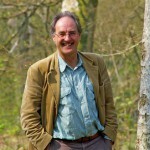 Although he has now moved on to pastures new, Paul’s knowledge of the estate and its trees was second to none, making him the perfect guide for the day. 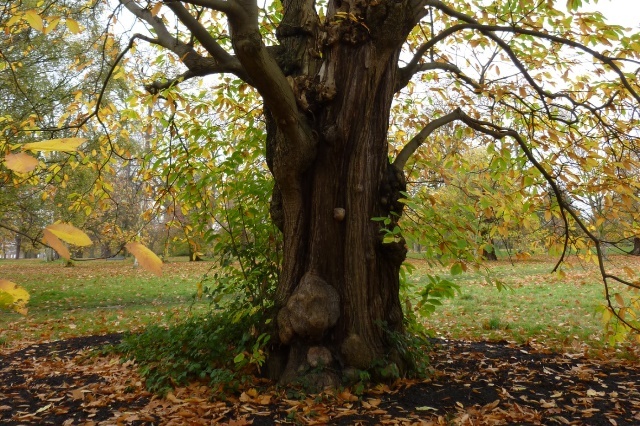 Greg Packman, an arboriculturalist with the Royal Parks, writes about the recent launch of ATF London held at Kensington Gardens in October. The meeting started off outside the Kensington Gardens park office where we had an introduction from Simon Richards, Park Manager of Richmond Park and Head of Park Operations for The Royal Parks. 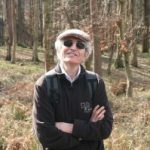 Through his role at Richmond Park with its 1000 plus ancient trees, Simon has worked closely with many from the ATF over the past 20 years so was the ideal person to introduce the first meeting. 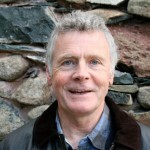 After a brief introduction from myself and then from London Tree Officers Association Chair, John Parker we set off for the first veteran tree. Posted by: ATF London The ATF London group will be running regular field events in and around London. 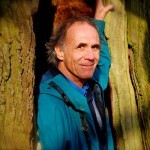 For more information email Greg Packman, at gpackman@royalparks.gsi.gov.uk. 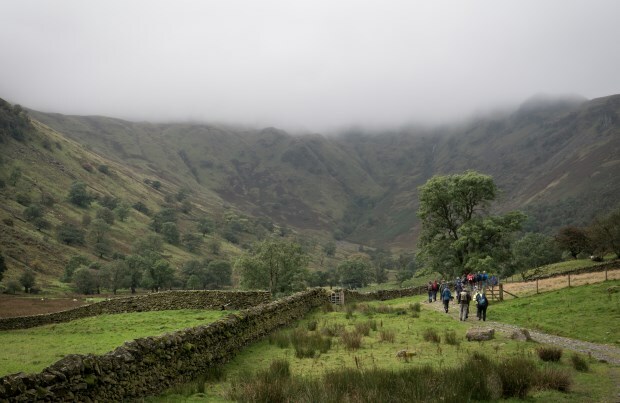 It was a chilly, misty autumnal day, beginning with an exciting approach for me via the Kirkstone Pass. An excellent turn out made for some serious parking challenges, which were negotiated well by Ian Jack (leader of the ATF Cumbria group). 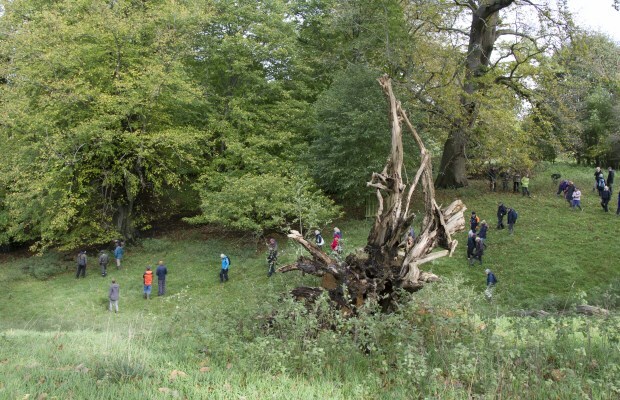 The visit to Brotherswater had been inspired by Cumbria Woodlands’ ash project, which is looking in part at ancient and pollarded ash. 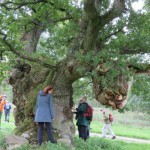 The day was hosted by Liam Plummer of the National Trust, and we were also joined by a lichenologist and a film maker. 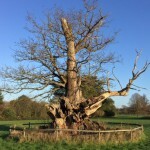 This veteran ash tree, with its beautiful heart-shaped form created by cambium curving round the decayed hollow, can be found towards the bottom of a chalk downland valley in North Dorset. 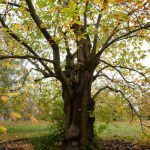 With its hollow trunk, deadwood in the crown, rot holes and cavities, the tree has many veteran features and is hugely valuable for its biodiversity as well as its aesthetic appeal. 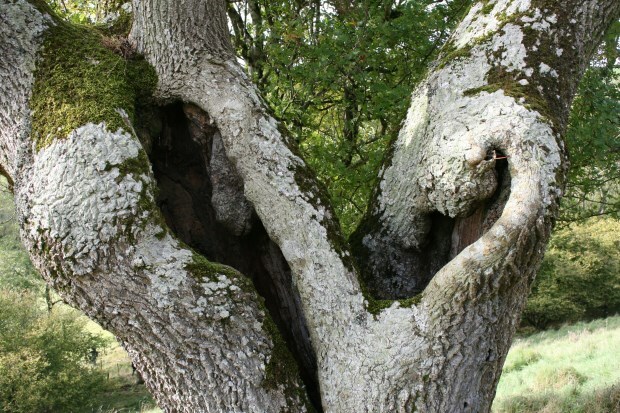 It supports many species of lichens and bryophytes, some of which are almost entirely dependent on veteran ash trees, due to the unique characteristics of the bark. These include the (UK) priority lichen Bacidia incompta, and the nationally scarce Bacidia delicata and Caloplaca ulcerosa. The white-rot wood decay in the trunk provides decaying woody habitat for a range of saproxylic invertebrate species. 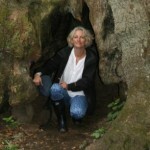 Posted by: Hannah Solloway Hannah is the Development Officer for the Ancient Tree Forum. 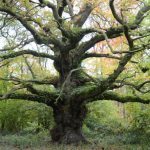 Forester Jon Burgess, of Forestry Commission England, writes about the Piddle Oaks, which the ATF Devon group visited during their field event at Castle Neroche in Somerset last Autumn. 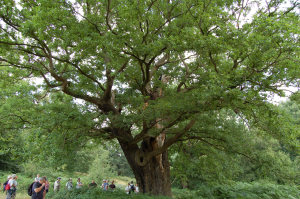 On top of the hill overlooking the Taunton Vale, in an landscape surrounded by ancient earthwork fortifications, hidden deep within the wood are a wonderful collection of ancient oaks. 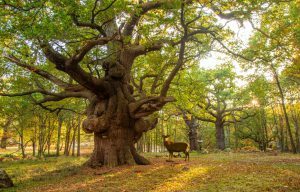 As with all things this old there remains a bit of a mystery about the history – were they on the edge of the royal hunting Forest of Neroche, or within a separate park pale that survived after the forest was broken up? 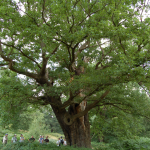 Posted by: ATF Devon The ATF Devon group, one of the longest-established local ATF groups, runs trips to sites across the county and nearby to see ancient and veteran trees. 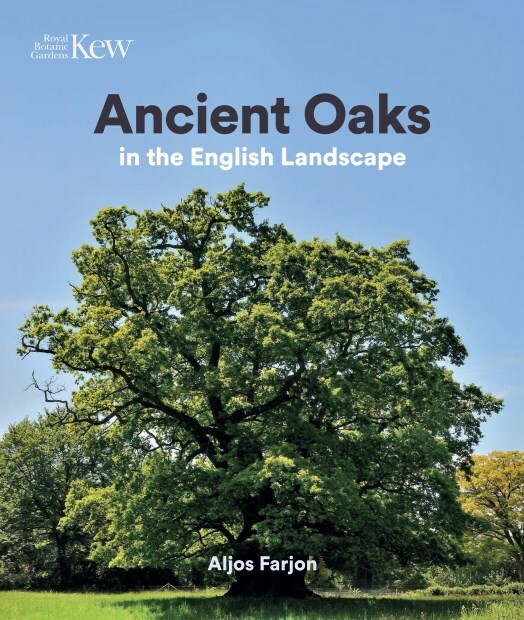 email devon@ancienttreeforum.co.uk for more details. On the morning of 20th October, a few of us were logging on to the BBC Weather web page and wondering if we were going to be lucky or not. For some months, Julian Hight, Jim McConkie, Hilary Abbott and myself had been working on a plan to bring off the third Wessex ATF event. 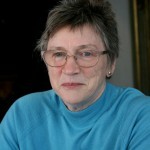 We particularly wanted this one to have a varied audience and, if possible, a larger audience than usual. We were lucky: the weather god did us proud. 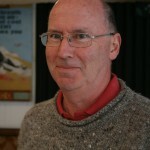 Posted by: David Blake David Blake is Project Development Officer for the Cranborne Chase Area of Outstanding Natural Beauty, and leads the ATF's Wessex group. 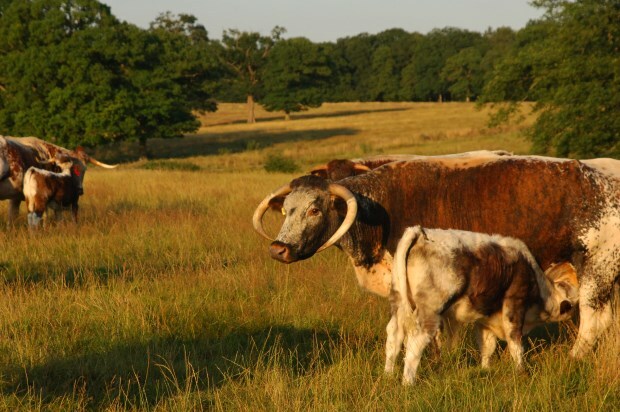 Jamie Simpson, who carries out arboricultural work at the Knepp Estate in Sussex, writes about the rewilding of Knepp, the influence of Frans Vera, and the Vera Conference at Knepp: ‘Freeing the Landscape: Grazing animals as ecosystems engineers’ (see link to presentations below). 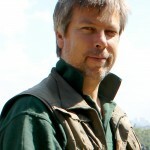 The introduction of free-roaming grazing herbivores, extinct animals and a return to less interventional land management is commonly known now as ‘Rewilding’. 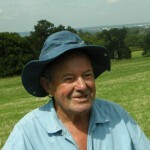 It has been a hot topic amongst nature conservationists, land managers and farmers since the publication of Grazing Ecology and Forest History by Frans Vera in 2000 and more recently, promotion in mainstream journalism by George Monbiot. 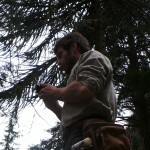 Posted by: Jamie Simpson Jamie is an arboricultural and woodland management contractor solely for nature conservation. 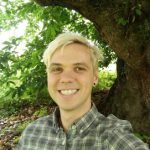 He also works part time at Knepp Castle undertaking a wide range of tree work, and at Buglife as the Ancients of the Future project officer. 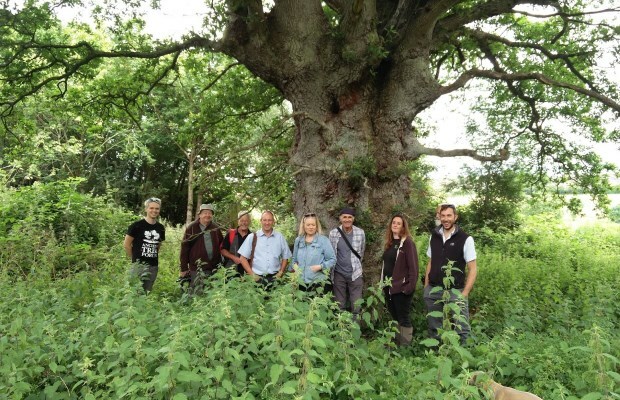 Jim Mullholland joined the ATF Wessex group for a field event in June to Southwick Country Park, a site much-visited by local people, to see how the veteran trees are managed. 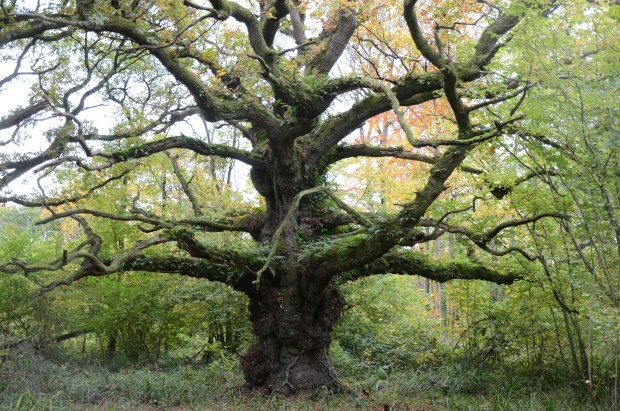 Nestled on the outskirts of Trowbridge, Southwick Country Park is an impressive veteran tree site which can easily be overlooked. 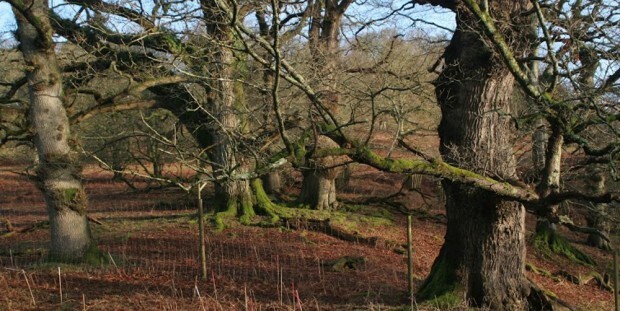 Along the former agricultural hedgerows the veteran oak pollards are becoming lost in forests of newly planted trees. 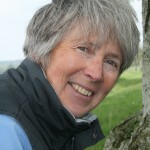 The country park was purchased by Wiltshire Council in 1989 with a view to developing a golf course. At that time strips of trees were planted to frame fairways and develop a number of holes within the loose agricultural field framework. When plans for a golf course didn’t continue, the land was instead used to create a country park for local residents.